I couldn't stand the thought that she had a flaw. The broken line was eating at my heart. my days of settling on mediocrity are behind me. I busted her out of the bottle and have put her back in the shipyard. New mast, new bowsprit, new paint, new rigging, new sails. Yada, yada. Well done Jeff. 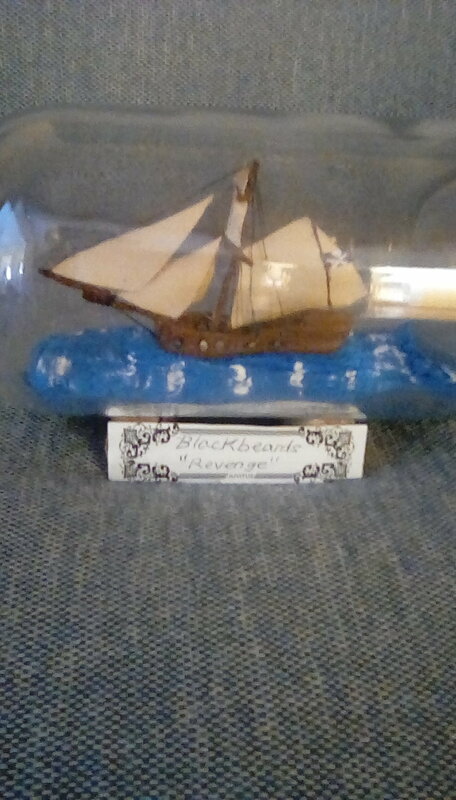 That's a great looking ship in bottle.